INTRODUCING: New Trekking Trips for 2019-2020! Without further ado, check out our latest epic trekking adventures! What makes this trek stand out? Known for its sheer natural beauty, the glorious mountain views and sprawl of lakes, valleys and rugged fells make this a stunning trek. 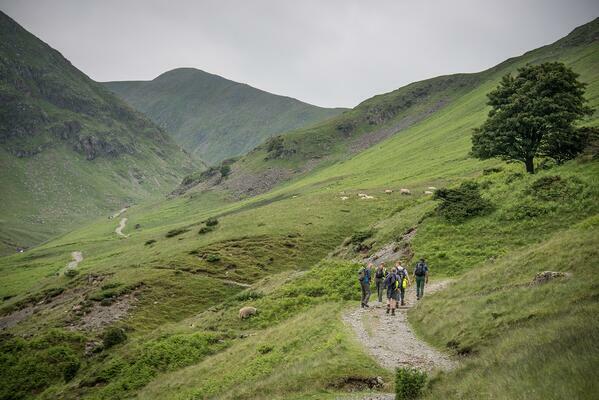 You'll get a sense of wilderness at many points in the trek as you explore the vast stretch of land that makes up the captivating Lake District. Should I do it? 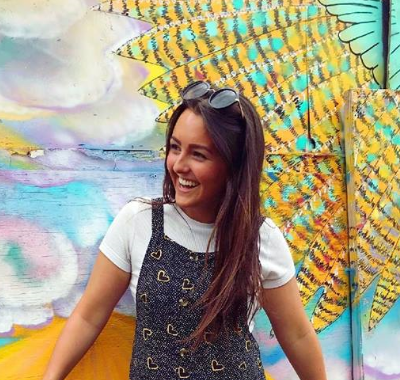 If you're a keen trekker or just starting out, this is a beautiful spot in the UK to fall even more in love with the pastime and offers just the right amount of challenge! Trekking for a full weekend is tiring and demanding, but if you're up for the challenge, it's a real beauty. Where is it? This chilly trek takes us to Romania in its peak winter season. Specifically visiting a remote region of the Carpathians for an ultra element of adventure that takes you away from civilisation and into the snowy wilderness. What makes this trek adventure stand out? A bite-sized escape to totally new landscapes makes for a spectacular trek with a difference. 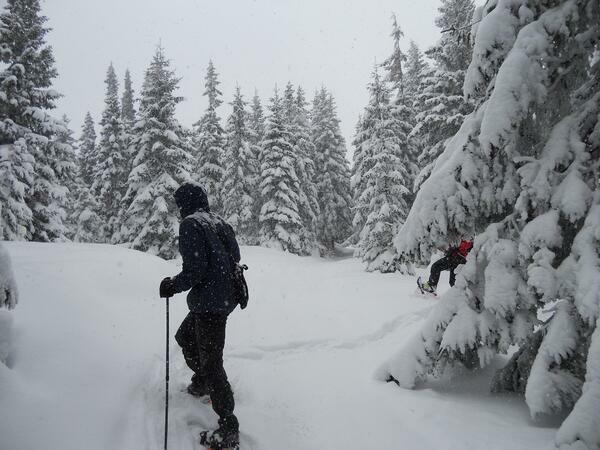 Snow-shoeing across Transylvania, through thick forests, hung with snow and nothing but the sounds of the wind whistling and your snow-shoe hitting the ground is pretty invigorating. The real treat is the chance to stay in the Hotel of Ice, built anew every year due to the contrasting weather conditions, it's an unforgettable experience sleeping on a bed of ice and fur. Brrr! Should I do it? If you don't mind the cold and are looking for an experience like you've never had before, this may be the challenge for you. Snow-shoeing offers a funky alternative to keen trekkers and curious adventurers, and while you don't cross as many miles as you would on solid ground - you're sure to be exhausted after a demanding slog of snow-shoeing across Romania's thick snowy-landscapes. Where is it? 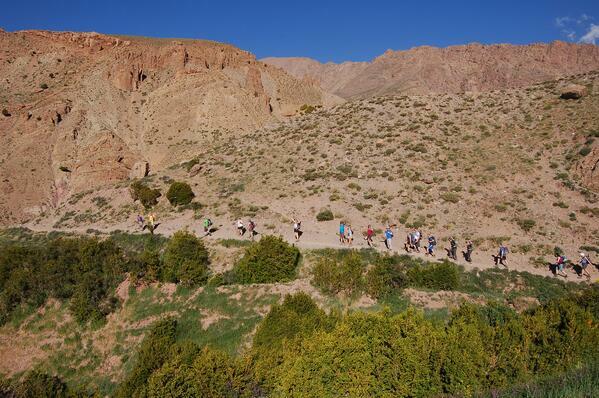 The Berber Trail trek takes place in the longest valley of Morocco, also known as the Happy Valley. What makes this trekking challenge stand out? It's a secluded region of Morocco that is ideal for trekkers, following old mule paths and towering mountain ridges that give you breath-taking views of the stretching landscape. This trek places you in remote Berber villages, amongst traditional village life and in contact with nomads herding cattle. A stripped-back, refreshing escape from the hustle and bustle of life while facing a real trek challenge - what's not to love? Should I do it? If you've been looking for a short trekking adventure that you can squeeze into your busy schedule or somewhere to trek in slightly warmer climates, this is the trek for you! Where is it? Sri Lanka sits within the Indian Ocean, a beautiful island within South Asia that draws similarities to India while remaining distinct in its own right. What makes this trekking challenge stand out? The variety of this vibrantly beautiful country and it's breathtakingly spectacular landscape really is something else. 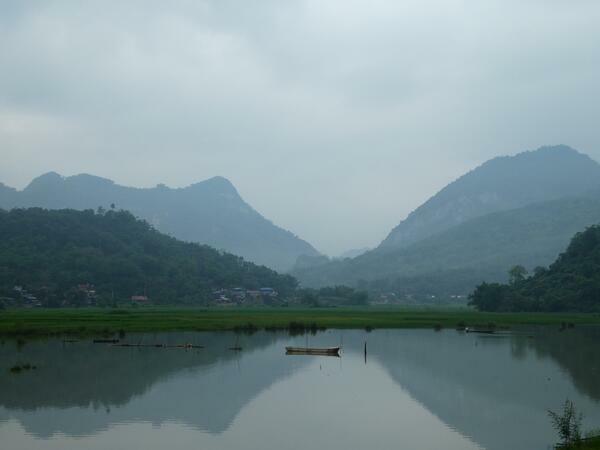 The route takes you through the Knuckles Mountain range reaching it's highest point at 1900 m. This is a trekkers paradise, with emerald-green tea estates, tropical beaches and rich forest packed with wildlife and tumbling waterfalls. 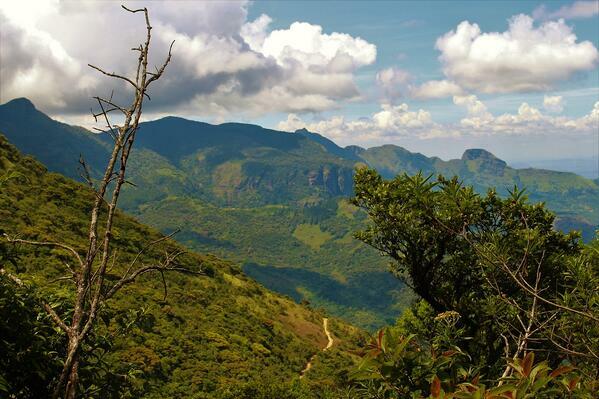 A truly incredible trek with unforgettable views at every turn. Should I do it? YES! It's definitely worth using your annual leave for this 9-day experience, with amazing natural beauty everywhere you look. This is a trekking challenge that has to be on the bucket list! Where is it? 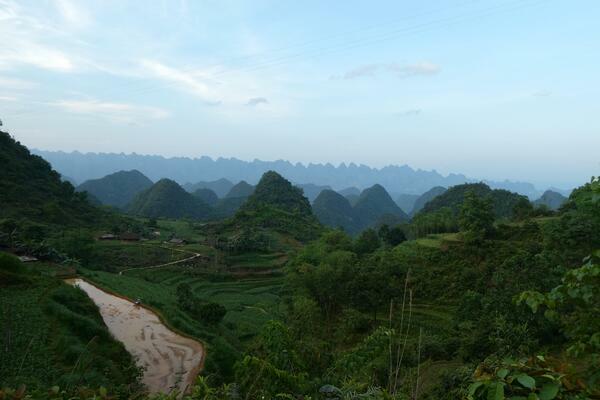 Whisking you to northeast Vietnam allows us to get a real flavour of the country's culture and local communities, as well as the diverse natural beauty of the landscape. What makes this trekking adventure stand out? This challenge is the perfect cocktail of fascinating culture and extraordinary views. Steep valleys, beautiful nature reserves, limestone and granite mountains and magnificent waterfalls are all spotted on this impressive trek. There's even chance to stay overnight as guests of traditional communities giving us a rare insight into the local way of life while giving back to the economy. Should I do it? This is off-the-beaten-track trekking away from tourist crowds and into the heart of local communities and natural wilderness. Don't expect plush hotels on this experience, you'll be sleeping in home stays and living the local way of life that gives a refreshingly different experience than you're used to. Sound like your cup of tea? Where is it? 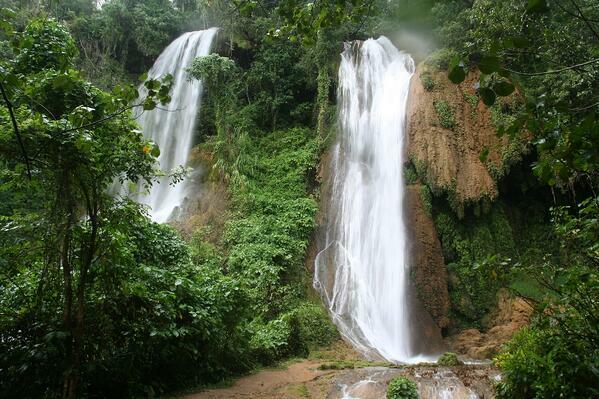 Described as the pearl of the Caribbean, this Cuba trek begins near the Escambray Mountains in Santa Clara and finishes in tantalising Trinidad. What makes this trekking experience stand out? We head to the heart of Cuba, trekking through the lush tropical rainforest with diverse terrain and hot climates. Take the opportunity to swim in crystal clear waterfalls and listen out for the sounds of hummingbirds as you embark on this exotic and unique trekking experience. With the chance to explore parts of Cuba and Trinidad, you'll get a full taste of the country's culture and beauty on this epic challenge. Should I do it? With beautiful views, tropical climates, and a fascinating trek that offers a challenging element, we can't think of a reason why you wouldn't love this adventure! The perfect adventure to get away from one of the colder months in the UK. Fallen in love with the adventure? If you've found a trek challenge that has totally won you over or maybe you've found the perfect fundraising experience to support your favourite charity, give us a call and we can help you along the way.